The Qualitix® single use self-sealing sterilization pouches are suitable for any small to mid-size laboratory, medical, dental or veterinary facility. 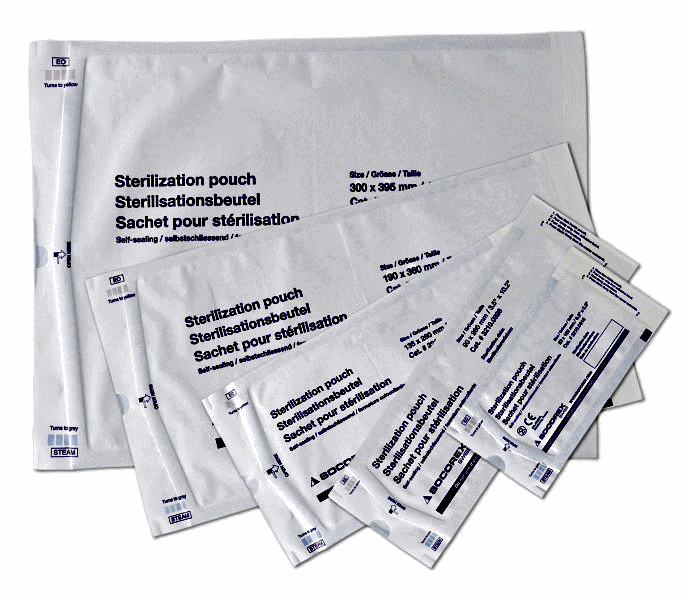 The single use packages provide easy and effective wrapping of items requiring sterilization. 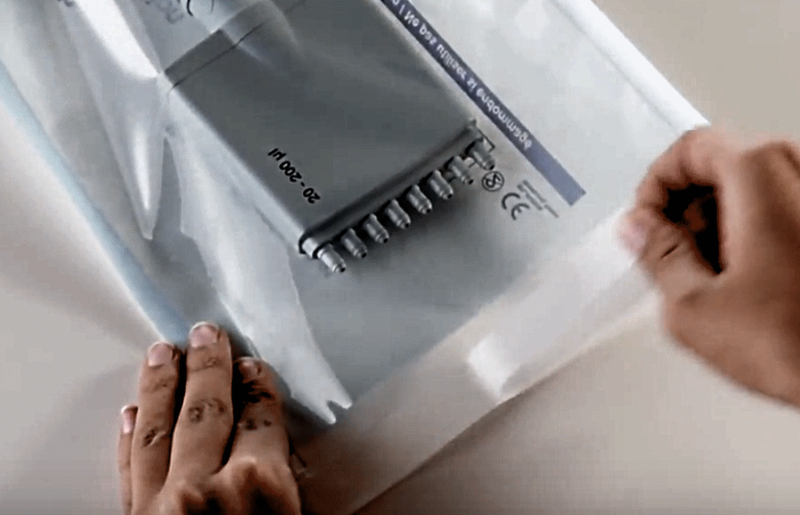 The pouches are made from robust medical grade paper and tightly close with a self-sealing strip to maintain sterility. The contents in the pouches always remain visible through PET/CPP transparent laminated film. Two chemical indicators are included to confirm proper sterilization process. A blue indicator turns dark grey after autoclaving, while a red indicator turns to yellow after ethylene oxide (EO) gas sterilization. Blue stained laminated film enables easy control of pouch integrity, so a damaged pouch is not used. Simply peel off protection strip, fold and press with fingers. Pouch remains tightly sealed to maintain product sterility.